Lorne Publishing: Sunflower Possibilities Now Available. Sunflower Possibilities is a short booklet celebrating sunflowers. The 24 photographs, all original, are accompanied by text exploring the sunflower's possibilities. 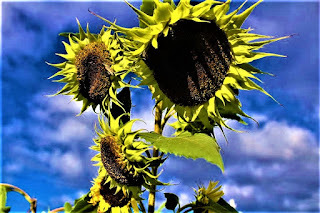 If you want your free copy, email rlewing@gmail.com, with Sunflower Possibilities as the subject. Have a great day.